How do you stack up? 5 insanely simple small business apps you should be using! >> How Do You Stack Up? 5 Essential and Insanely Simple Small Business Apps You Should Be Using. Nobody can deny it. Every human being needs to use multiple tools to survive and thrive. It’s that way since the first discovery of tools. If our ancestors didn’t have tools to hunt and make fire we could probably never evolve. Have you heard the theory that our brains managed to develop just because our digestive system had a break by receiving cooked food? Well, I did and it makes a lot of sense. Today it’s even more important to use tools. Our life would be unimaginable without a lot of tools. Now, apply this concept to business. It would be impossible to run a small business without some key apps. As a small business owner, you need to communicate with your team, make that sale, organize yourself, do the taxes, communicate with your customers etc. That’s a lot of work that requires a system in which you use specific tools to get the job done. A key thing to point out here. You can have wrong tools and use them the right way. That’s a pretty bad thing as well. Here’s why. A friend of mine told me he was on a family trip the other day. They had to take a long drive. His windshield wipers broke and he had to patch it up with some cord. Fortunately, he had some cord in my car, but the problem was it was too long. He had to cut it in half and he didn’t have a knife around. His only option was to improvise. He took the cord and put it on a rock and slammed it with another rock for like 15 minutes. In the end, he was successful. He repaired the windshield wipers, but he would have saved a lot of time and energy by using the right tool the right way. That will be the theme for today. We’ll answer what tools do a small business owner need and how to use them. I take my business very seriously and have all the tools I need just there at hand. Most of the apps I’ll mention are either free or what I like to call “bang for the buck apps”- meaning they are really cheap for what they do for you. First of all, Google suite of apps (G Suite) has been absolutely essential for years now. They cover almost everything a small business needs, and we won’t even mention their biggest diamond; the Google search engine. The thing with Google is that they are an incredible mix. They are a HUGE company and they are not afraid of innovating and experimenting at the same time. They are one of the most flexible companies in the world. Google always puts itself out there and as usual they create reliable products that are easy to use. Plus they are almost always free. With G Suite you can manage your Email, Calendar, Online storage and backup, even online Word docs and Spreadsheets. Gmail is the most popular email client. Period. It solves so much communication, it’s completely free and it doesn’t feel like it’s free. Granted if you want an email in this template “name@yourcompany.com” you’re going to pay $5 dollars a month per user. Even though different channels of communication have been rising lately (mainly social media) email is still number 1 communication for businesses. It’s been widely recognized as a big productivity killer; if you check your inbox 10 times a day. But this can and must be solved with the wanted “Zero inbox”. This is actually something that’s built right into Ninjodo, but more on that later. I solve this problem by only checking my inbox three times a day. First thing in the morning, in the afternoon and before I go to sleep. I always maintain my zero inbox and it’s been a key productivity boost in my day. Some of our biggest sales have been done over email. It simply looks professional and you don’t infringe on anybody’s personal space. Finally, if you don’t have a gmail account yet, you can easily register your email address with the format I mentioned above here. Eg Email Pro Tip: Many small business owners (especially new ones) underestimate the impact their email signature has on their brand exposure and how professional they appear. If you want to get heaps of traffic to your website just put your url to your signature in email. Think about it. If you send just 10 emails daily, over 3600 people will see your signature and possibly check out your website. If you’re curious how you can easily set up this little marketing gem be patient we’ll discover it in the end 😛 Here is how it looks when I send an email. Google drive is the storage part of G Suite and it has over 1 million organizational paying users. Given they have a few strong direct competitors, they are still number one in our books. They solve so many problems for small business owners. You can have all your important documents in one place and decide who sees them and when. It also allows 2 or more people to work on the same document or presentation at the same time. This means no more working on the wrong version of something. You don’t even need to email it to anyone. It’s just there in your list of shared files whenever you need to look at it. You can collaborate on mutual projects with spreadsheets, google docs or even presentations and forms. I remember the time when there was no Google Drive. And boy was that a hassle. With Google Drive you don’t even have to be in the same office. For example, one of our valued team members is Customer Success Champion, Mustafa who is based out of Europe. You can imagine how that might be a hassle. But, we use Google Drive all the time, especially for our marketing efforts and collaboration on projects and because of that it’s like we are in the same office. Listen, if you’re sick of hunting for attachments in your inbox or you want to make sure everything is backed up and secure then, you should seriously consider starting today. If you’re anything like me, you love Google Calendar. It’s so simple and effective.I love and cherish simplicity and Google Calendar is an amazingly easy to use tool for productivity. The problem with productivity is staying consistent and G Suite enables you to do that. I take time every Sunday night to plan ahead my week and every weeknight to adjust my schedule for the next day and so should you. So my morning looks something like this. I get up and do my morning routine which is not related to work. The first thing I do is check my Calendar and right after that I do what I need to do with my emails. It also allows you to create shared group calendars such as meetings or client projects. Plus Google Calendar syncs across all your devices so it doesn’t matter where you are. That’s why I’m so keen on G Suite. It enables me to use every moment of every day productively. Here is how you can start using Google Calendar and all the other G Suite apps today. While I was studying at business school (the experience you can find out more about here), I was learning about Accounting. I “slept” through most of the classes. The Accounting class has its way of doing that to a future business owner 😛 Accounting has been such an arduous task for years. But then, in 2006, everything changed. Xero came to the market and showed that accounting can even be fun. Xero is THE APP for small and medium-sized businesses for accounting and online bookkeeping. We invite our clients to use Xero all the time. The best thing about Xero is it plugs straight into your bank feeds. This means all your transactions are already in there ready to go. Xero will predict how they should be recorded and all you have to do is click ok. This can save you thousands of dollars (or late nights and weekends) on bookkeeping. Another really cool thing is being able to just email your customers a professional looking invoice. No need to use a crappy spreadsheet template, or heaven forbid, print it off and mail it to them. 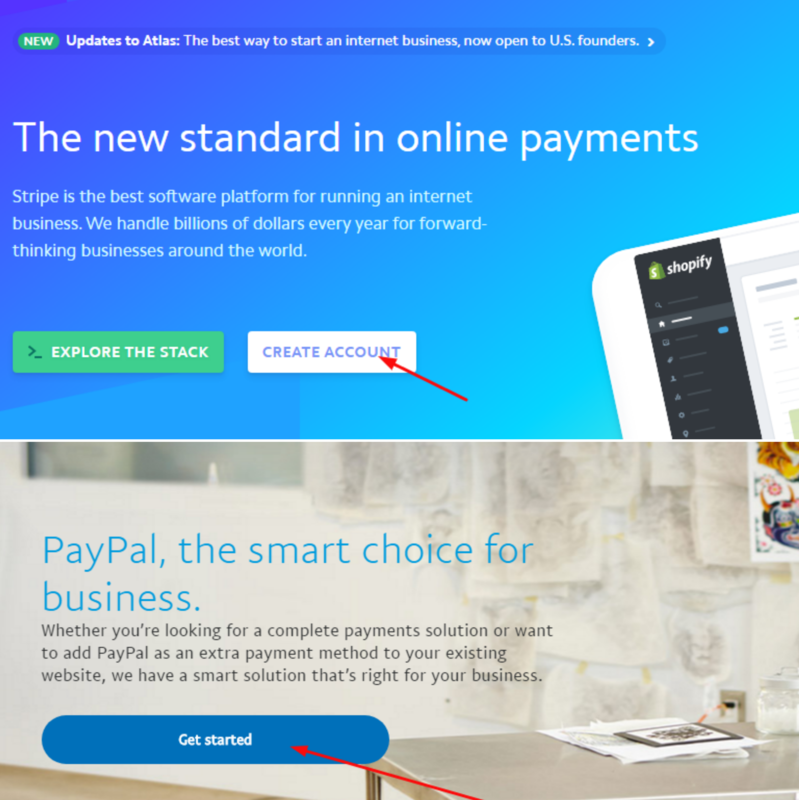 This means you get paid MUCH faster. Fortunately, those are all a thing of the past! I’ve used Xero for years now and I’ve never looked back since. You can try it for free for 30 days here. You’ve probably heard about the importance of building an email list. And it makes a lot of sense. Once you set it all up it becomes an asset that is all yours. 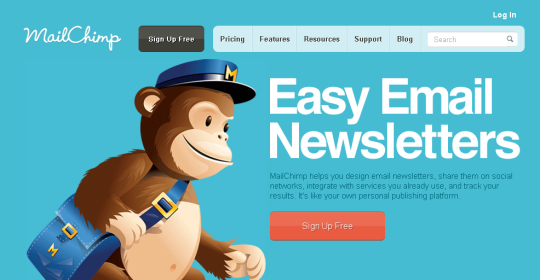 There are a lot of tools for Email marketing tools out there, but Mailchimp is my first choice. To be honest, I’ve never come into temptation to try any other tool for this. If you’re building email list of your potential clients, leads and clients, mailchimp is hands down the best tool to do this. With Mailchimp, you can easily send mass email campaigns, track the results (open rates, click-through rates, and even who clicked on the links), split-test your subject lines and automate an email onboarding sequence. These are basically all the features you need from your Email marketing tool. Since we started using Mailchimp our clients have been using Ninjodo much more. Put simply, we nurture them by giving them value with our newsletter. Our clients are noticing and responding to this. You should think about can you increase your customer engagement this way as well. Furthermore you have access to beautiful templates which will increase your click-through rates immensely. If you want to become one of the 15 million Mailchimp’s active users, you can do it by registering here. How important is communication to you? Whether you want to have a video call with a client on the other side of the world or communicate with your team-members, skype is ideal for you. Another cool feature of Skype is that you can get a phone number which emulates a real phone number. You can call others and they can call you from anywhere in the world and you can even receive voice mail if you’re busy. The subscription for this can be as low as $7 dollars a month. Skype is reliable for written and video chat. I use it for Ninjodo demos all the time as it also enables you to share your screen with the person on the other side. 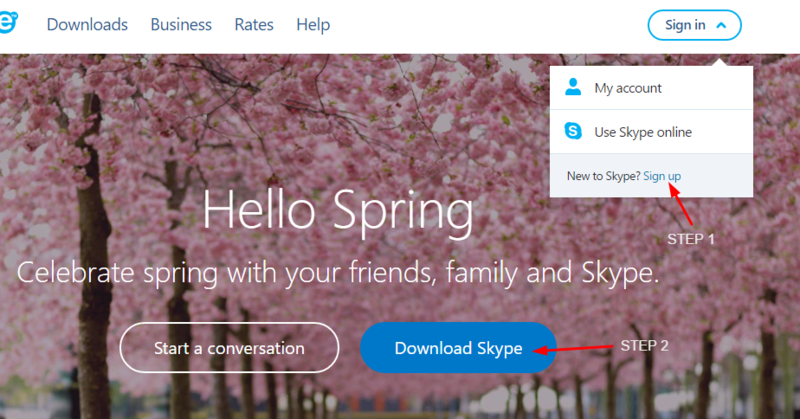 If you don’t have a skype account, you can create one here. After that you should download the Skype app and you’re ready to go. Look at the picture below to see how that looks. As I mentioned in the previous blog post – cash flow is king! Imagine waking up in the morning and seeing you have 5 new orders overnight.This is the power of getting online payments setup so people can pay you when they are ready. Having a credit card facility helps both service providers as well as product based businesses.You can accept deposits, pre-sell blocks of hours, monthly packaged services, the options are endless. For eCommerce store owners this is a no brainer. Let me finish the part about Paypal and Stripe with an especially relevant quote and a success mentality from Elon Musk – the former CEO of Paypal. Think about that quote for a minute … That’s a mentality of a champion. Can we be even a little bit closer to that mentality from this day forward? That’s the question of the day! So no we’ve looked at 5 insanely awesome tools and a bunch of ways they can help you grow while staying lean and mean. But that’s also 5 more new things to add into your suite and that can seem a little overwhelming. That’s one of the reasons why our client’s use Ninjodo. We specifically went out into the marketplace to find the best apps available for small business owners, then we asked, how do we bring all these things together to make it easier for you to use. Did you know that I had to go all the way over to China to realize the power of these apps put together? I was working in China and I realized what the struggles of a small business owner are. Here is the thing. If you want to have a successful business, you need to have a system that works. The system I mentioned above works for me, but it wasn’t always like that. Another key point of success, besides a good system, is that you have to be efficient with all your tasks. If you take all the tools from above and use them separately, you’ll lose precious time. Your competitors might catch up. That’s what I realized in China and that’s exactly why I created Ninjodo. I created it because I knew there had to be a better way of getting organized, simplifying email, managing your contacts and increasing sales. In conclusion, it’s your lucky day, you can start a free trial of Ninjodo today. Share this blog post and the story of Ninjodo with just one of your friends and we’ll be eternally grateful.